I can’t think of a more perfect time to visit London than the spring, when the city cheerfully waves goodbye to winter gloom as the streets become covered with cherry blossom. 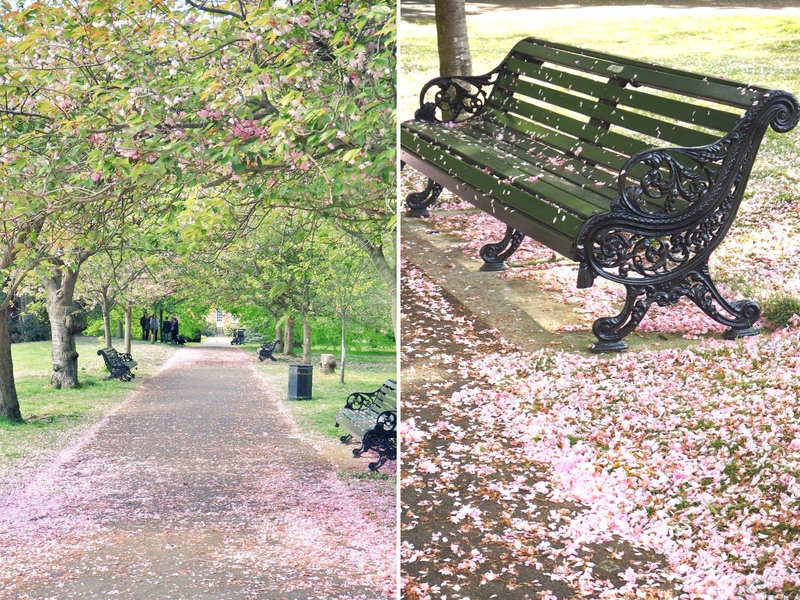 From Hyde Park to zone nine, London suddenly turns into a cherry tree oasis, and with days finally getting longer and filled with sunshine, you’ll have little reason to stay inside. If you’re following me on Instagram, you’ll know that I have a rather soft spot for London’s cafe scene. 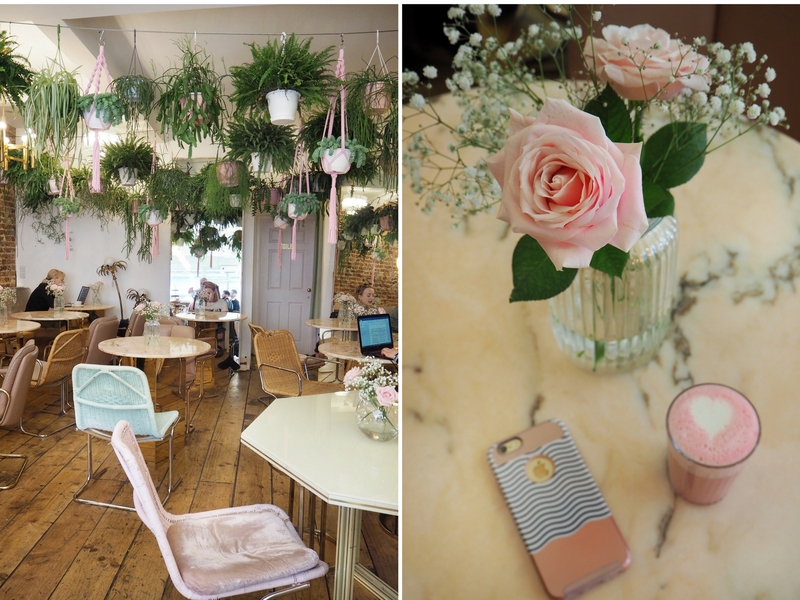 In a city where new places pop up on every corner faster than you can say ‘coffee’, it’s hard to keep up but fear not – I’ve taken it upon myself to discover London’s most gorgeous cafes and equally glorious spots for your spring walk. After all, what better way to embrace the spring and the cherry blossom season than with a beetroot latte in hand, taking in the sights of London’s most Instagrammable spots? 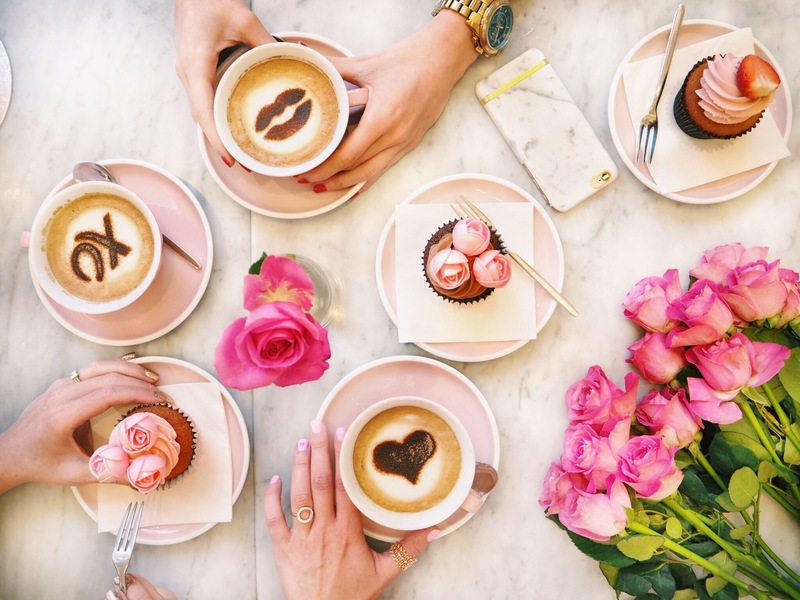 The epitome of all things Instagrammable, Peggy Porschen is one of my favourite spots for a caffeine and sugar fix – and I’m not going to lie, the fact that its decor resembles a lovingly decorated, icing-covered cake might have something to do with it! The pink and white parlour sits on the corner of Edbury Street in picture-perfect Kensington. 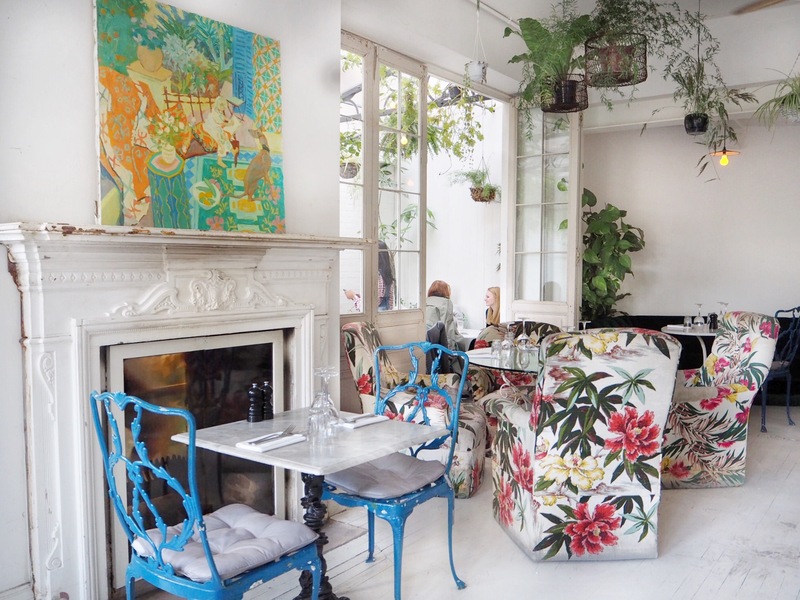 The cafe is as irresistibly gorgeous as their cakes (favourites amongst Kate Moss and Stella McCartney, nonetheless!) and there’s no wonder – the company is headed by an award-winning cake designer and the owner of London’s first baking school academy, located just around the corner from the cafe. Pop over for what might be the world’s most perfect silence of cake and wash it down with a delicious tea served in a porcelain cup, of course! 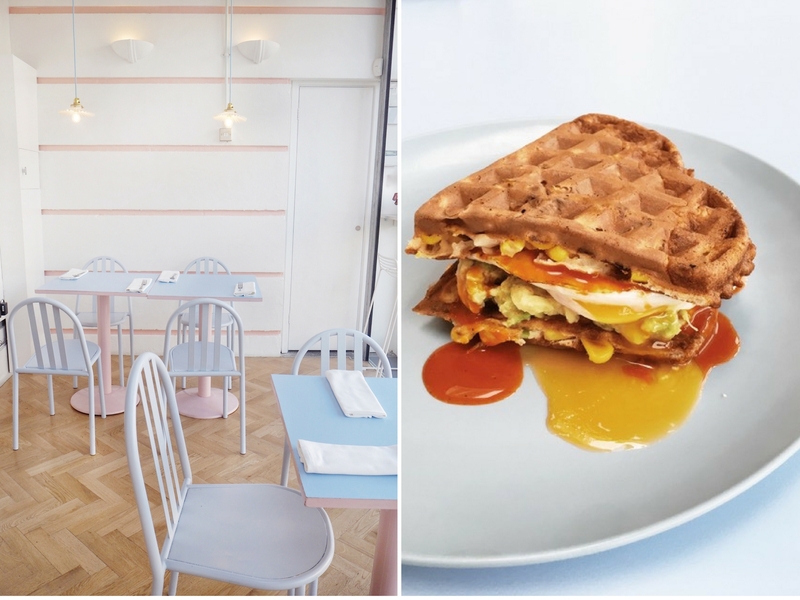 Baby pink, golden details, fabulously vintage cakes, pastel lattes and, of course, palm trees, all reign at what’s got to be East London’s most Instagrammable cafe. 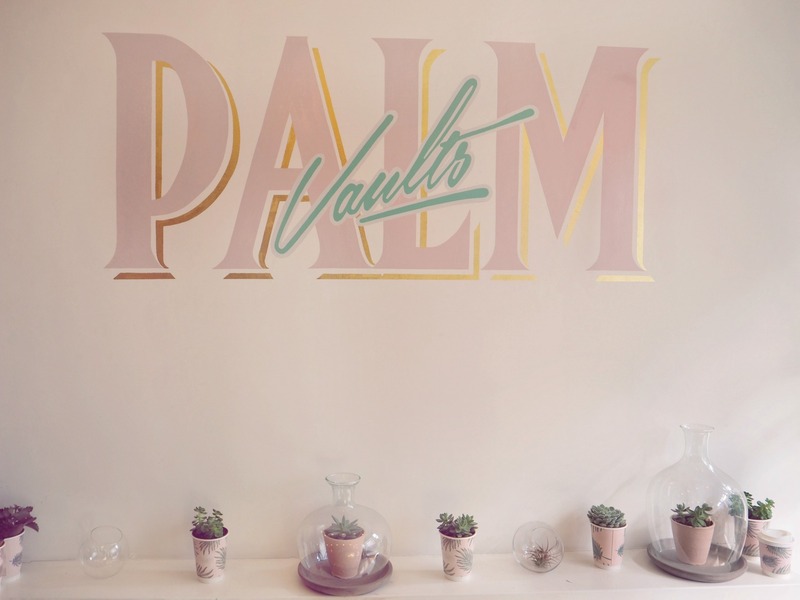 Palm Vaults, with its retro-chic feel and a fabulous, veggie menu looks as if it’s be created for Instagram. After just over a year on of joining Hackney’s cafe scene, Palm Vaults became an integral and much-loved part of the high street. In fact, its popularity grew so much that the masterminds behind the brand have recently released their own merch, inspired by the iconic pink and gold shades, of course. Begin your cherry blossom hunt with a cup of oat milk beetroot latte and a picture-perfect acai bowl. 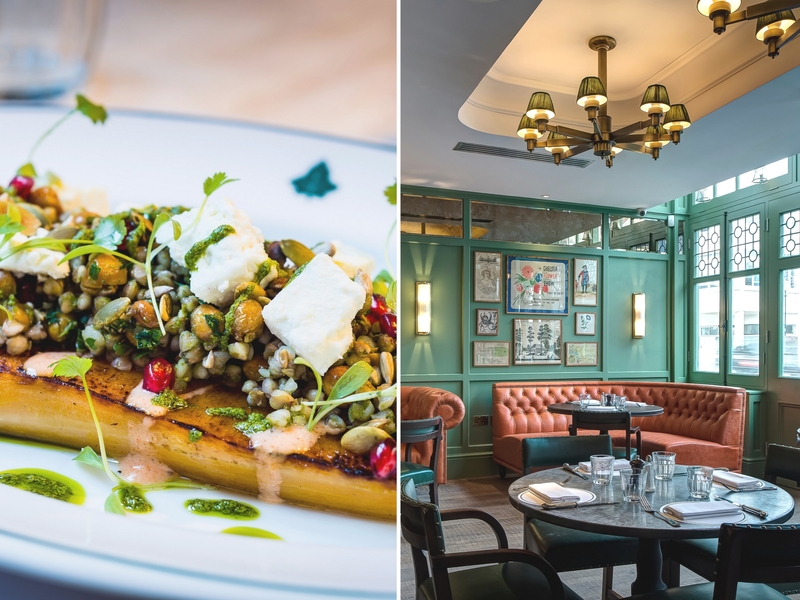 There’s a new cool kid in town – and its candy-coloured, art deco vibe and a delightfully retro menu is bound to steal your heart (and keep you coming back for more!). The cafe mirrors the unique, art deco style of The Strand Building where it’s located, the soft pastels and minimalistic touches acting as a perfect canvas for the bright and sunny atmosphere. A great spot for breakfast or brunch, Cafe Miami draws its menu inspiration from the flavours of Florida’s favourite party town, blending traditional and modern American cuisine with Mexican and Spanish touches. Here you can enjoy a lovingly assembled (and very Instagrammable!) avocado and halloumi with sweet chilli jam, and top it off with a touch of nostalgia in a form of rather delightful pop tarts or Reece’s peanut butter cups. 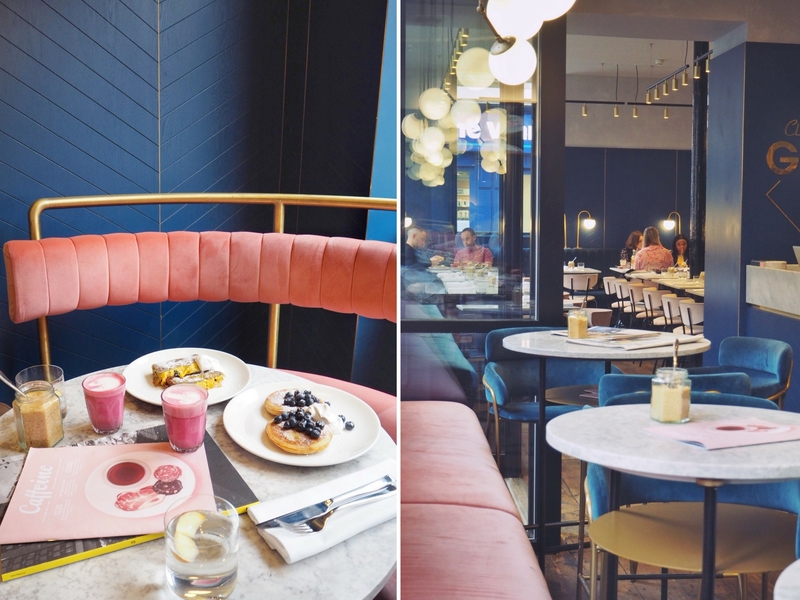 Part of the Grind Group whose entertainment empire been taking London’s food scene by storm, Clerkenwell Grind stands out from rest of the chain thanks to its mid-century feel, complete with plush pink sofas and marble table tops, with baby pink magazines ever so strategically scattered across the surface. Housed inside a gorgeous, grade II-listed warehouse, the space is divided into a basement cocktail bar and a dining/ cafe area upstairs. 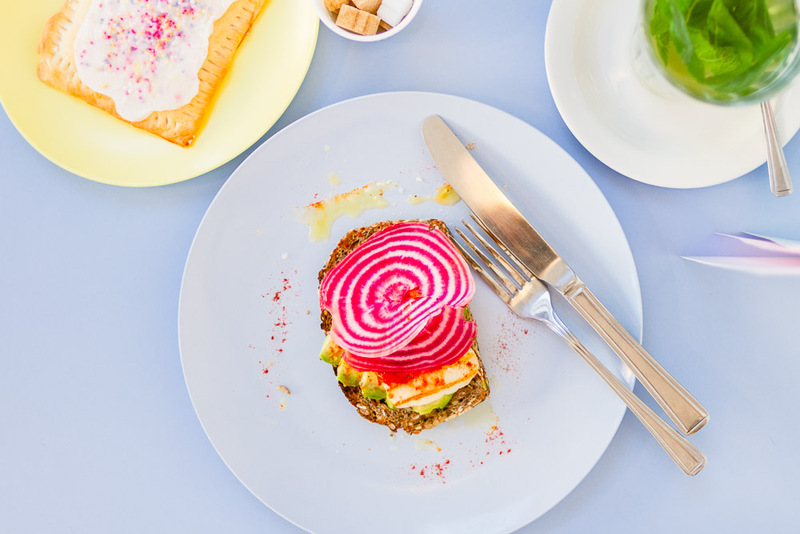 Another fab spot for your morning dose of beetroot latte, the menu boasts a rather delicious selection of dishes, from blueberry pancakes to ox cheek pappardelle. If you’re not yet convinced to visit, their weekend brunch menu offers bottomless prosecco for £7! Favourite amongst London’s flat lay lovers and lifestyle bloggers who, let me warn you, will queue up for that that perfect coffee shot (and possibly slightly ruin slow down your brunch plans in the process), this Notting Hill cafe serves some of the cutest coffee art in town (rose petal or charcoal lattes anyone?). They also have a nice selection of brunch options – and while they may be reinventing the wheel with their avocado on toast, acai bowls and buckwheat pancakes, their food presentation is on point! 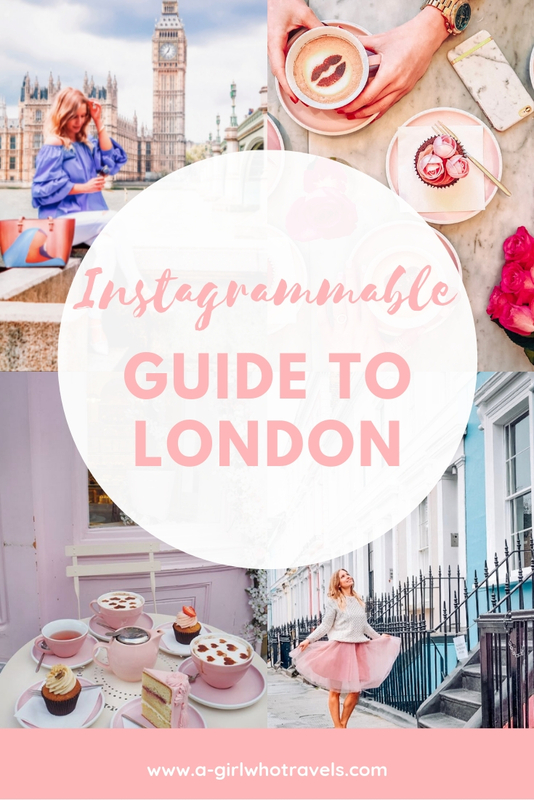 For that perfect photo opp, grab one of the pink tables outside and refuel on coffee before hitting the pastel-coloured streets of Notting Hill (one of my favourite spots is just round the corner from the cafe – keep reading to find out where!). One of my latest finds, B&H Buildings are a greenhouse, cafe, restaurant and a bar all in one. Think light and airy interiors, bentwood mahogany, and an electric mix of soft furnishings in gorgeous, botanical designs coupled with garden furniture. All this paired with lush plants and, of course, a great food menu topped with yummy cocktails (including bottomless options -wahey!). The restaurant also has two secret rooms which one of the waiters ever so kindly showed me upon my last visit – a gorgeous, bright room upstairs which immediately reminded me of a Tuscan farmhouse kitchen, and a smaller one on the ground floor (photos not included because hey, we got to keep it a secret!). 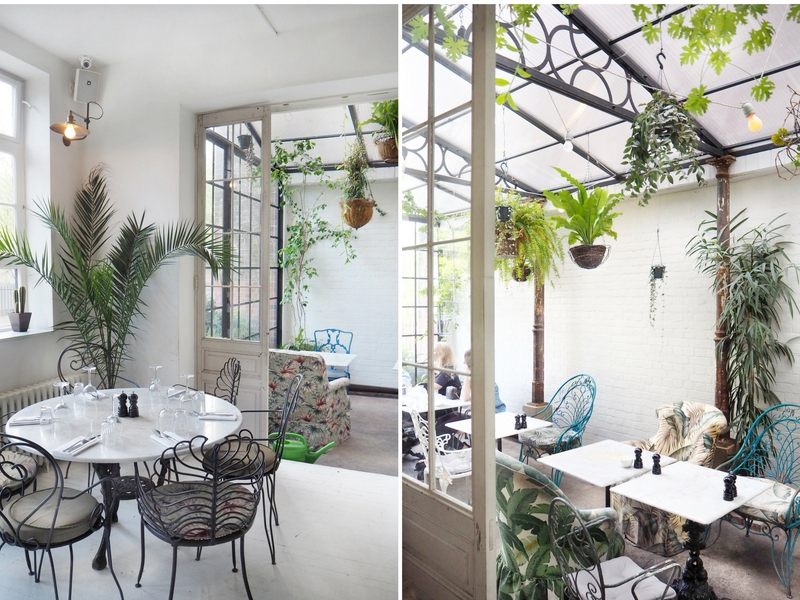 Be sure to book a table at the Garden Room to enjoy the greenhouse feel. 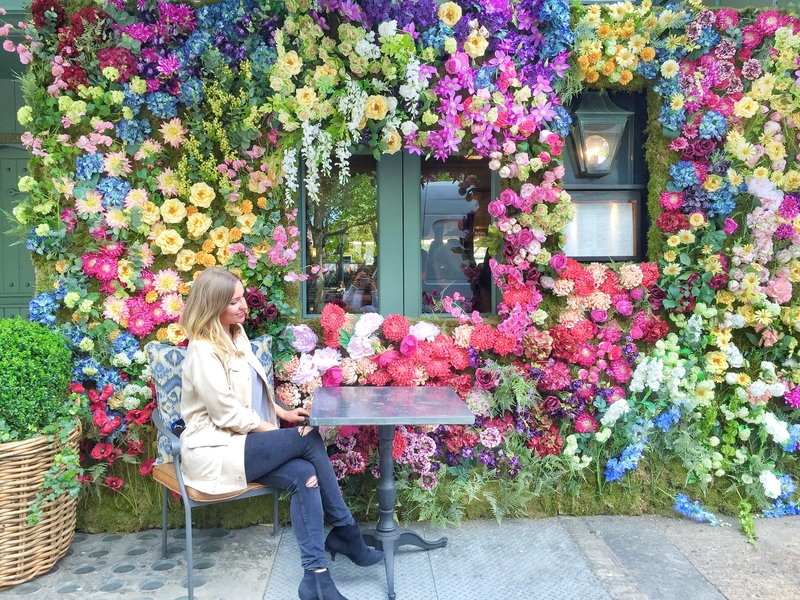 The first thing you’ll notice about this cafe, one of my favourites in Chelsea, is the wonderful flower wall which makes an appearance every spring and summer. Is there anything more Instagram than sipping your cup of tea surrounded by this gorgeousness? The inside of the cafe doesn’t disappoint either – The Ivy combines effortless elegance with a delicious menu without a touch of pretence. Be sure to stop by when you’re in the area! One of the most charming streets in the area, Bywater Street will give you those Notting Hill feels combined with a touch of Chelsea’s sophistication. Quite possibly the happiest little street in the area, it’s is only a few minutes walk from Sloane Square station and just off King’s Road which brims with restaurants, charming boutique stores and cafe shops. 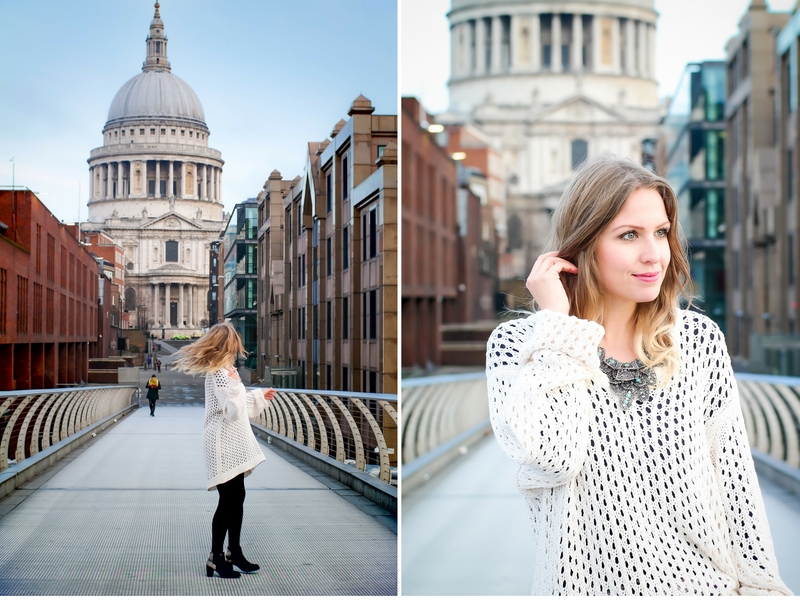 If it’s your first time in the capital and you’re in the search of a classic London shot, this is the place. Cross Westminster Bridge towards Big Ben and keep walking until you spot red phone booths by the corner of the Great Gorge St. and Parliament St. You’ll struggle to find a more quintessentially London photo opp even if you try! Slightly cheesy but I love it. Another photo-worthy spot (and also a great place for a walk), this beauty is only a few minutes away from Westminster station, at the foot of the Westminster bridge. Boasting stunning views of Westminster and the River Thames, you can find it by getting off at Westminster tube station and crossing the bridge towards Waterloo. As soon as you get to the other side, walk down the steps by the side of the bridge and enter the tunnel underneath. Once you’re there, look towards the river and keep an eye out for Westminster peeking through – that’s the spot! If you’re walking from Waterloo station, just get to the foot of the bridge and look for the tunnel underneath – you can’t miss it. This has to be one of the most gloriously charming spots to visit in the spring – but hurry, the cherry blossom season is nearly over! Almost too beautiful to be real, the avenue leading up to the Ranger’s House is covered by an alcove of cherry trees, their pink petals covering the ground underneath. To find it, walk from Blackheath Avenue past the cricket pitch, and towards the rose garden at the Ranger’s House. This is a perfect spot for all of you early birds. There’s nothing quite like walking down the Thames shortly after sunrise – it’s one of the very few times when London streets are almost entirely empty and filled with an, unusual for London, sense of calm (before the rush hour hits, that is). 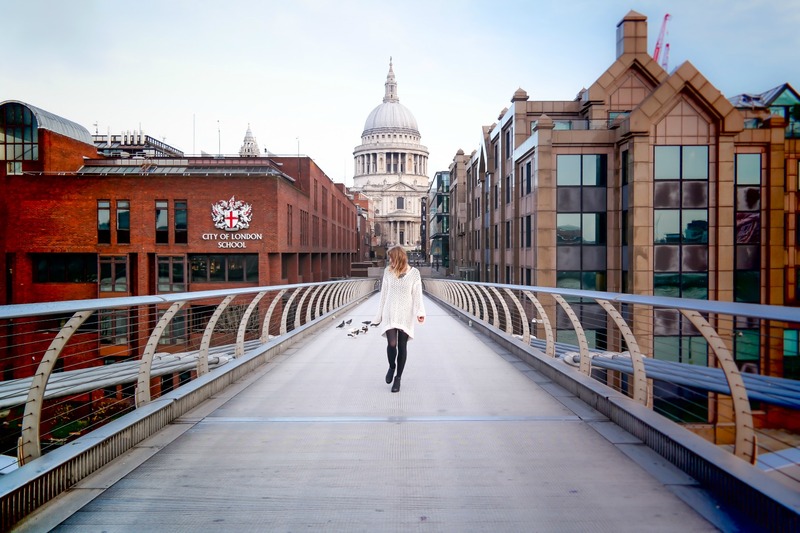 Head to the Millennium Bridge which connects the City of London with Tate Modern at Bankside, and enjoy St Paul’s beauty in all it’s splendour as it hangs above the bridge in the distance. 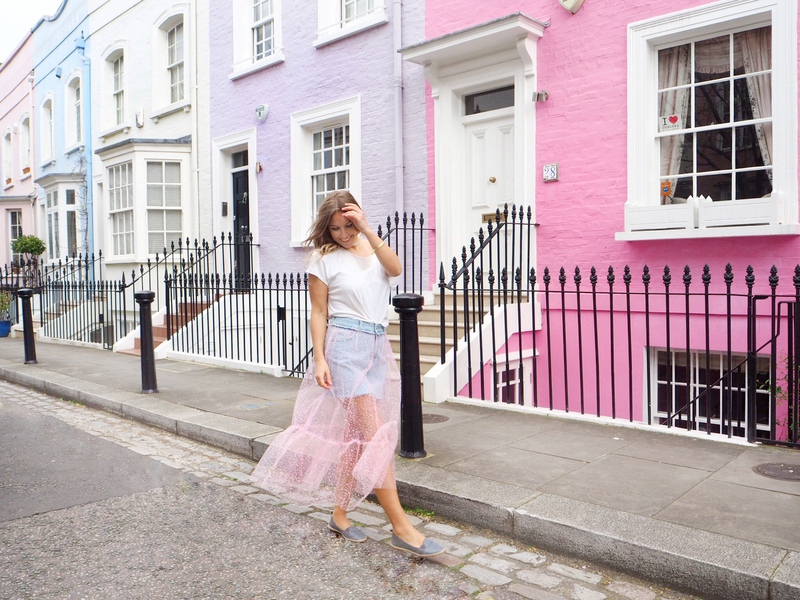 Cliche as it is, my post wouldn’t be complete without mentioning Notting Hill – yes, it might be super touristy but at the end of the day, it’s this way for a reason. Try arriving as early as possible to avoid the crowds. While the whole area is ridiculously picturesque, especially with cherry trees in full bloom, my favourite place for a photo-worthy stroll is on Denbigh Terrace Road, just off Portabello Road. 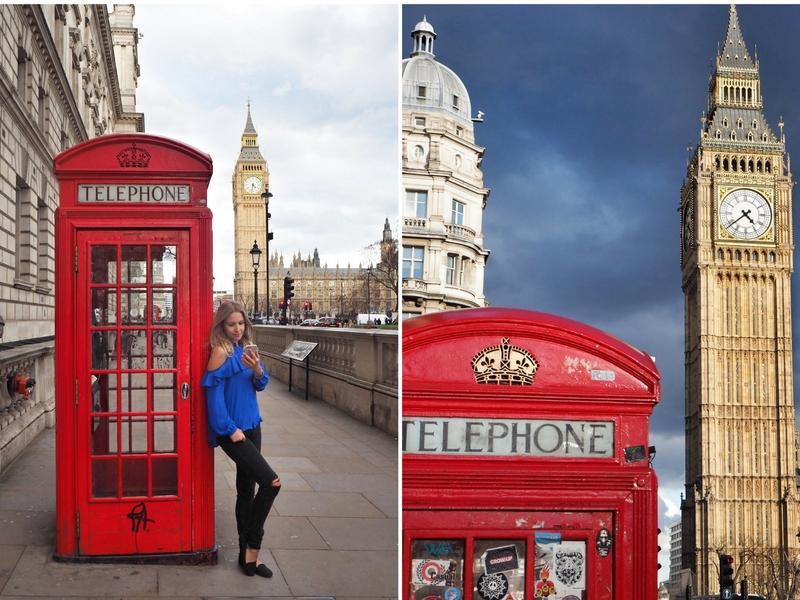 What are your favourite London spots? Share in the comments below! Love this idea for a post!! These are some really beautiful choices! 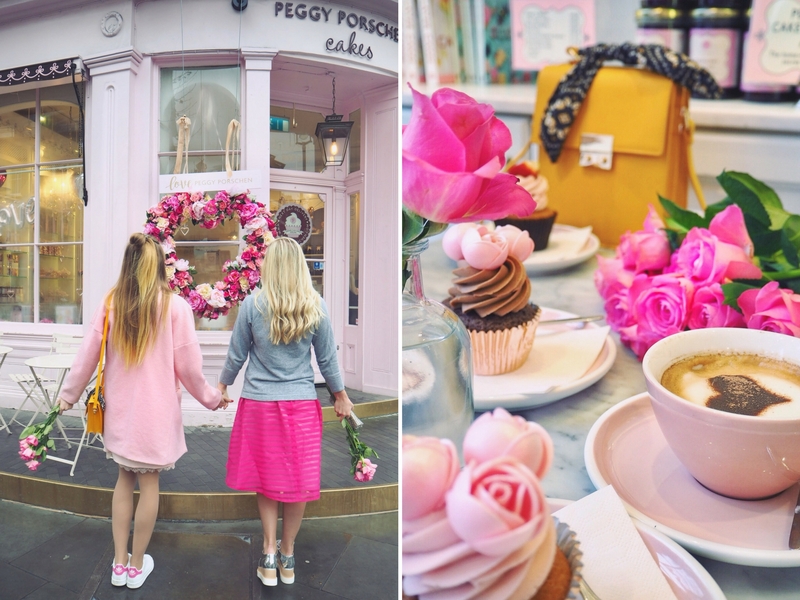 I love Peggy Porschen, I actually got my wedding cake there! Wow! Your pictures are amazing, I recently went to Palm Vaults and took a picture there on my instagram account @tgreatflower. Hey..what time of the year did you visit these spots for so adorable pictures ?